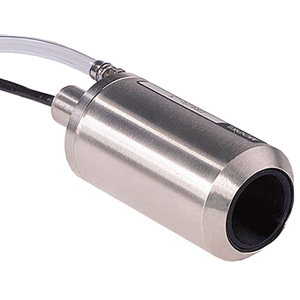 The OS36-5 Series extends the range of applications for infrared thermocouple thermometry to situations which require the sensor to be mounted remotely from the target. In addition to the ruggedness and ease-of-use of the original OS36 Series, the new OS36-5 Series is hermetically sealed and is equipped with an internal air cool/purge system. As do all infrared thermocouples, this new series exceeds all applicable NEMA standards and is intrinsically safe when used with appropriate intrinsic safety barriers. Polynomials available upon request. Stripped leads are standard (OPTIONS SHOWN IN THIS "NOTE" ABOVE ARE PRICED IN US$).